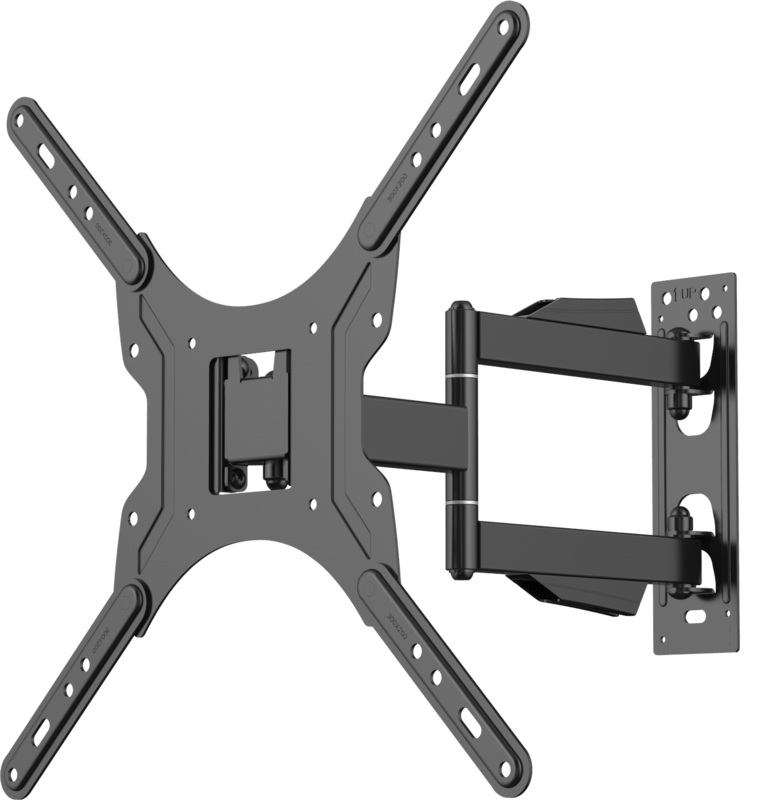 Vision’s Vision Flat-Panel Mount – Wall Arm range is tough and flexible. The VFM-WA4X4B fits any flat-panel LCD or LED screen which has rear mounting holes up to 400 x 400 mm apart. Most medium-to-large displays use VESA 400 or similar mounting points, so the WA4X4 fits the majority of displays up to this size. 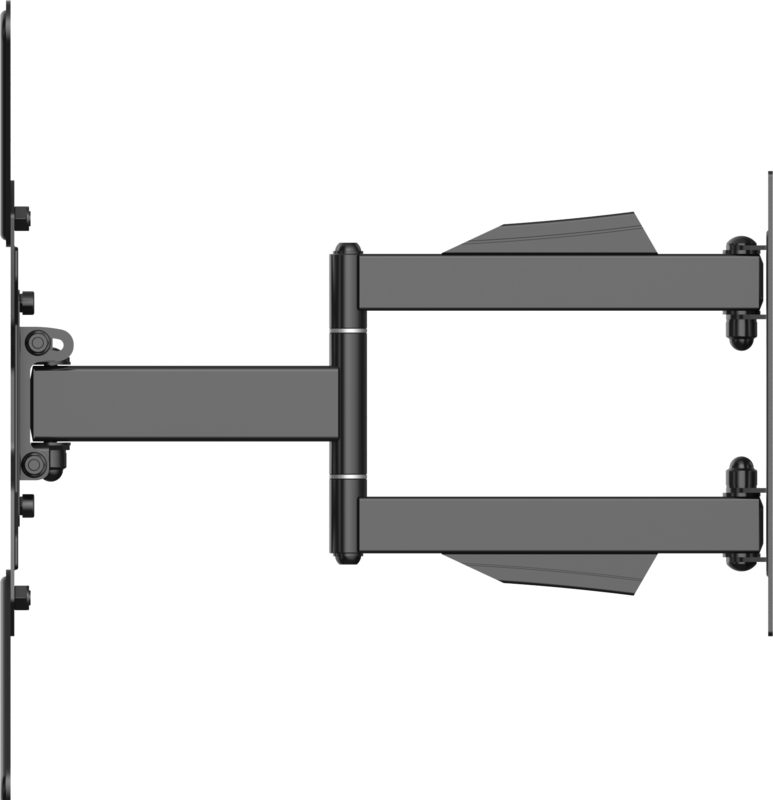 Note: if a larger display has the correct mounting points and weighs less than the SWL this mount can support it safely. The single-arm design makes this mount especially flexible without compromising the load capacity of 25 kg (55.1 lb). -2-12° tilt and 90° swivel. 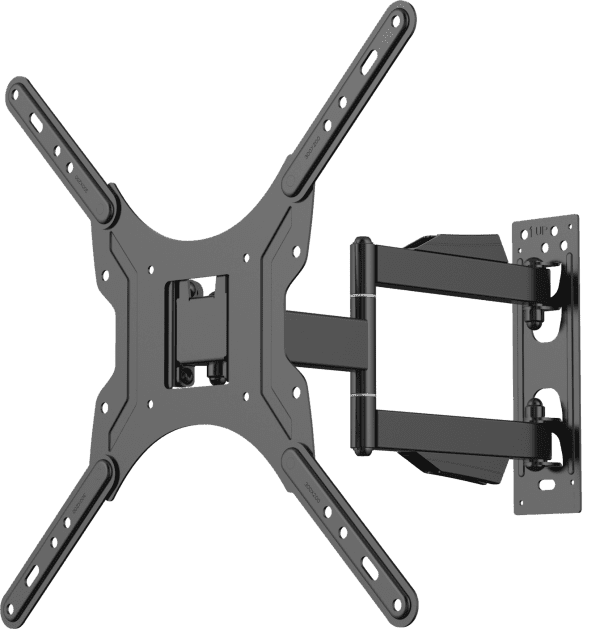 Use this mount to fix a display in a corner up high in a waiting room. Or fix displays around an office or in meeting rooms. The VESA system defines how far apart the mounting holes are on the back of your flat-panel. Holes 400 x 400 mm apart are known as VESA 400 and will suit this mount. This product also fits displays with smaller VESA sizes listed below. Clip-on covers allow tidy cable routing.